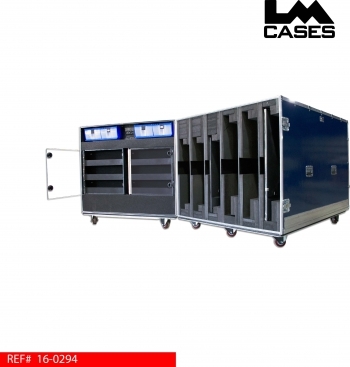 This case was designed for Boeing to transport 6 monitors for use on a custom display cart. The case holds 3 Samsung 60" & 75" monitors in an upright configuration. Due to the size of the monitors, the design allows them to slide into compartments so minimal lifting is required to load and unload the case. Each monitor is held in a custom 2" foam lined compartment that features a 1/4" marine grade plastic floor to allowing the monitors to slide in and out easily. 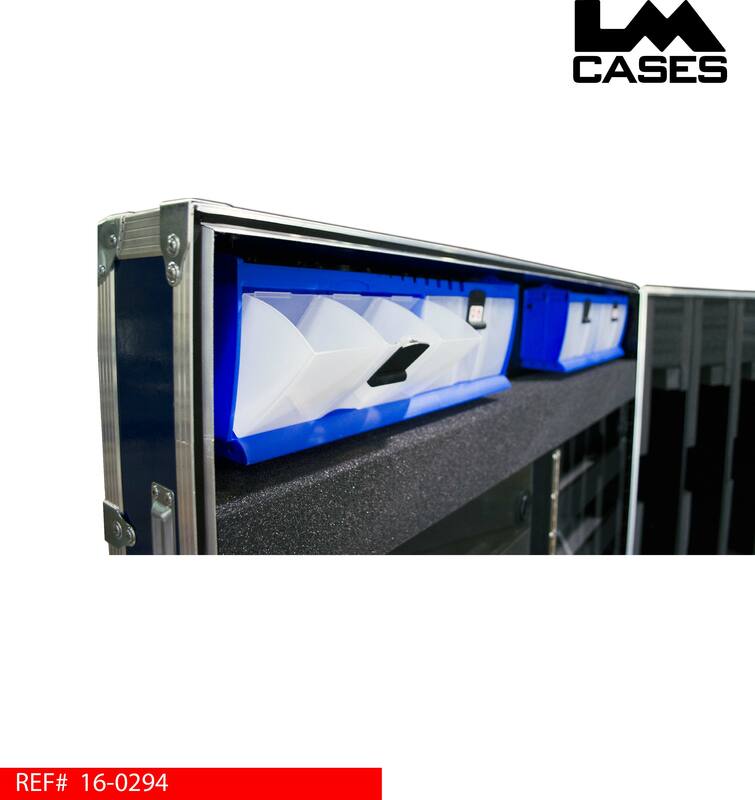 The case lid features 4 Tilt Lock bins designed for small parts like adapters and fasteners. Below the Tilt Lock bins are 2 accessory compartments that feature 3 shelves each. Each accessory compartment features a clear 3/8" thick Lexan doors to keep all items contained during shipment. The exterior case is built out of 1/2" plywood laminated with dark blue fiberglass panels. All panel joints are filled with caulking, and the lid tongue and groove filled with a Neoprene gasket to make the case as water resistant as possible in the event that a trade show provider stores the case outside. 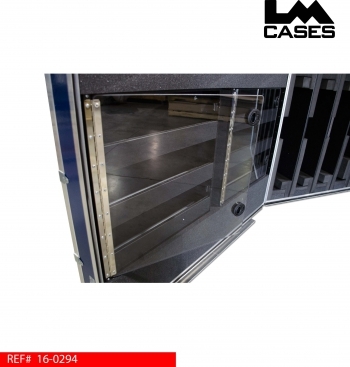 The case features 4" x 2" Colson HD casters, deep recessed hardware, and a 1/4" aluminum skirt along the bottom of the case to prevent forklift damage. Special thanks to Boeing for a great project!